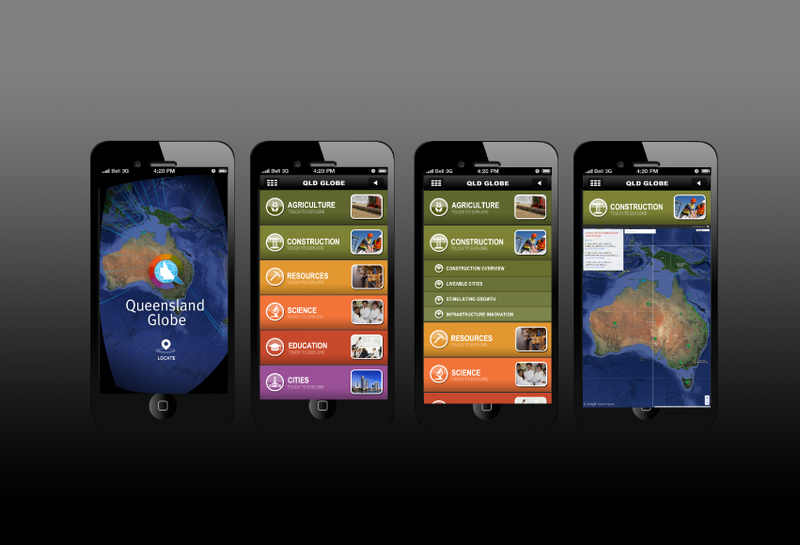 Alongside the role as Senior UX/UI designer I also managed the development of a Brisbane G20 mobile App for delegates. The App was a container for the same content available via the touch-screen interface at QUT. The mobile App included way-finding and maps with data loaded dynamically via KML files and pre-rendered map layers. The same technology allowed for an Apple (iPhone and iPad) and Android (phones and tablets) version of the App to be delivered from the single base code. We were able to deliver a simple App that allowed users to easily access highly complex data through a combination of static images and dynamic maps that users could navigate and share.